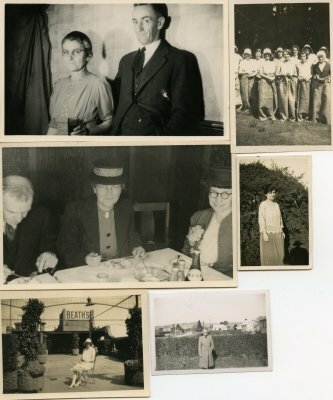 Description Selection of photographs of Fanny Mary Shea. 1. 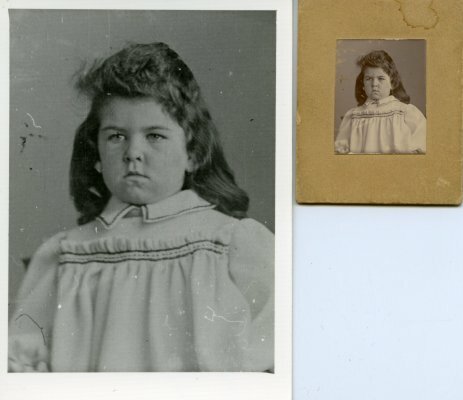 Small black & white photograph of Fanny Mary as a child. Born 8th Aug 1896, died 7 Aug 1969. (Also enlargement of same photograph). 2. Black and white photograph of Fanny Mary standing beside hedge, aged approx 30+ years. 3. Fanny Mary, aged approx 60+ years, with small boy. 5. Miss Shea, believed to be Fanny Mary, sitting on a chair between shurbs, outside of Beath's (probably the Christchurch Department Store). 7.Fanny Mary Shea, aged approx 50+ years, and unknown gentleman, at dining table. 8. Fanny Mary Shea, aged approx 50+ years, with unknown woman in a dining room/restaurant. 9. 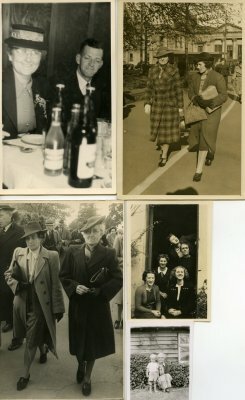 Kathleen Lucas (nee Shaw); J. Eden; D. Lucas; Fanny Mary Shea; I. Armstrong. 13. Fanny Shea at dining table. 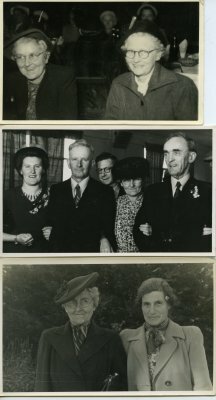 Probably Mr Harry Bright on left of photograph.